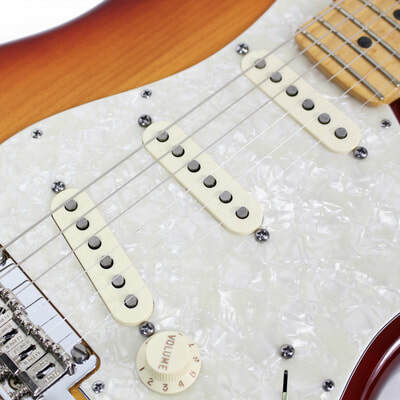 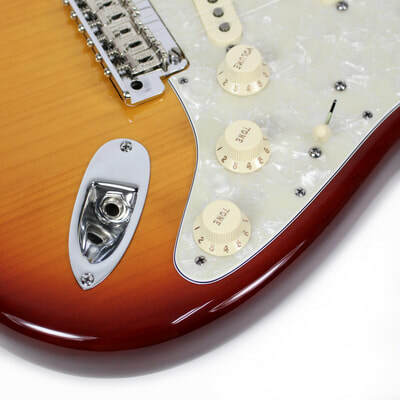 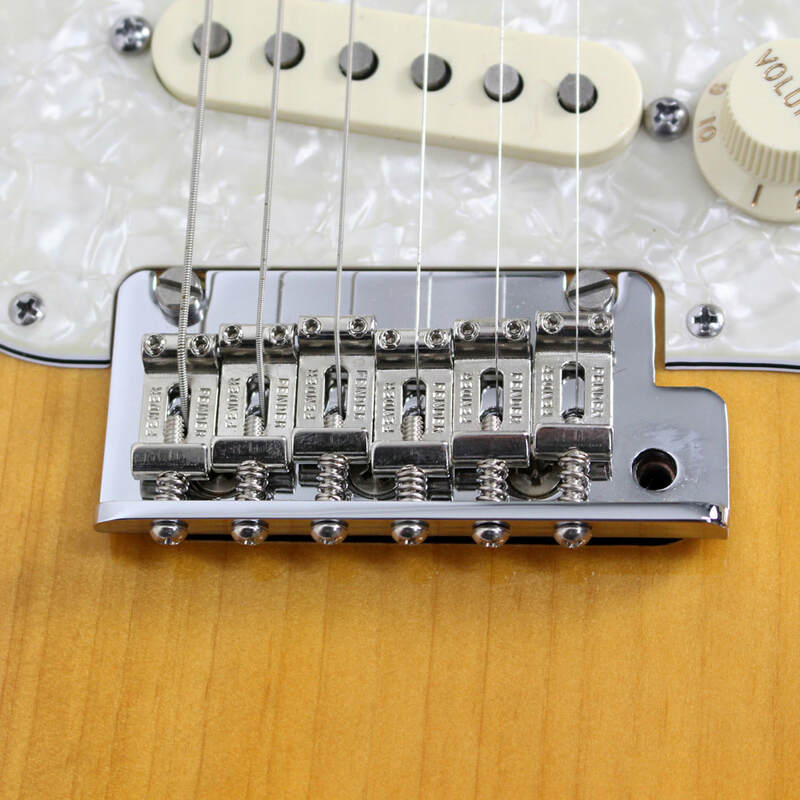 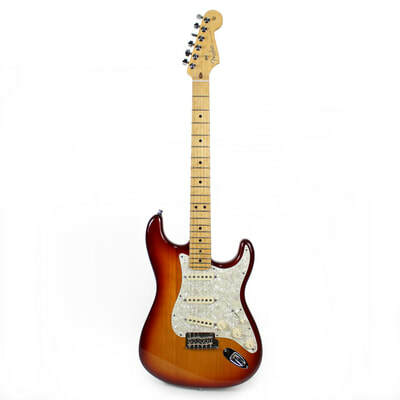 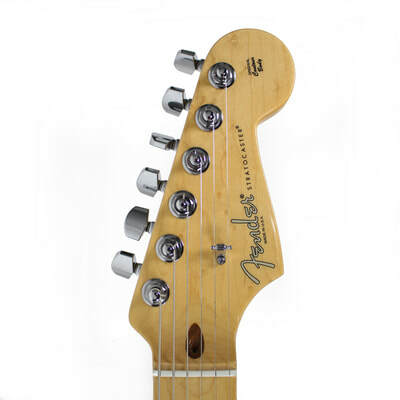 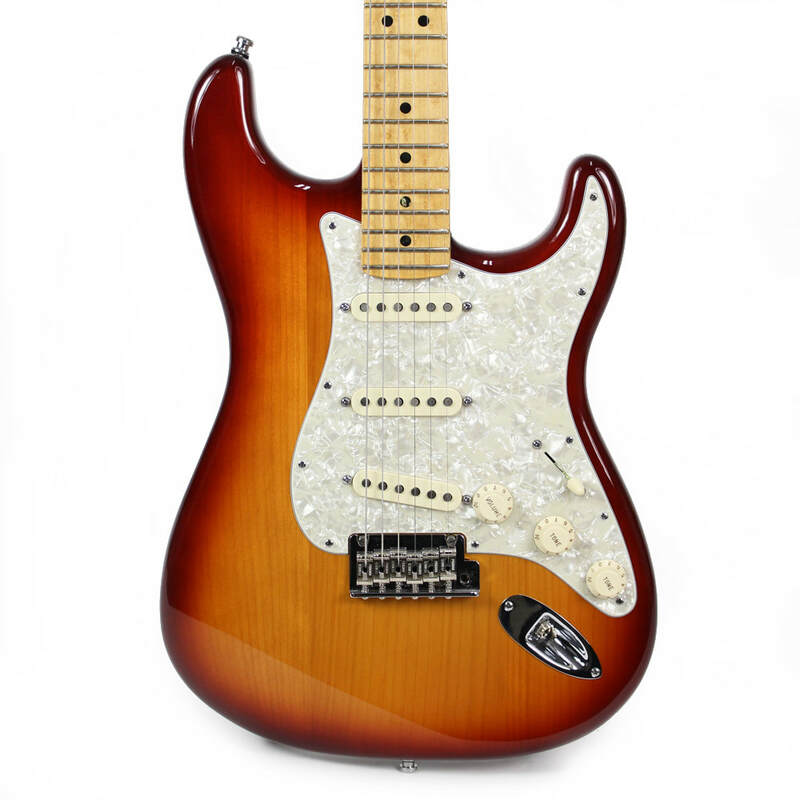 Neck Plate: Lightweight Chrome-Plated Contoured 4-Bolt, "Fender CORONA, CALIFORNIA"
The Fender Select series brings you one of its most distinctive instruments yet in the sleek form of the Port Orford Cedar Stratocaster. 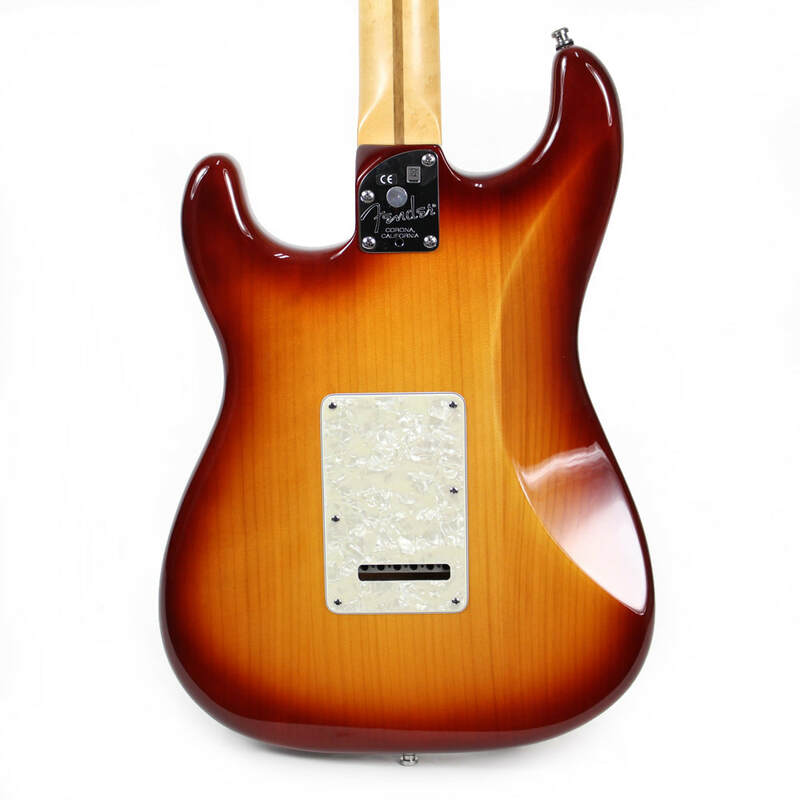 Its body is fashioned from the light, strong and tonally rich wood of the "Port Orford cedar," which is the regional name for an evergreen tree-actually a cypress rather than a true cedar-native to the area around the community of Port Orford on the scenic southern coast of Oregon. 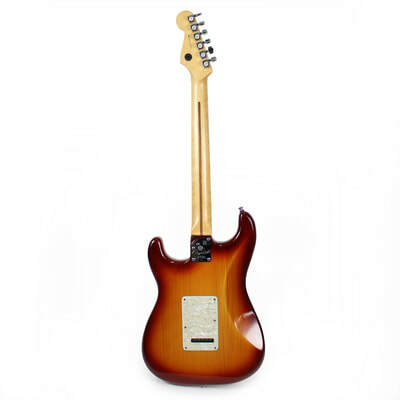 As if its beautiful body wood isn't special enough, the guitar also features a radiant Sienna Sunburst finish, a figured maple neck with a comfortable "modern C"-shaped profile and a figured maple fingerboard with a compound radius (9.5"-14") and 22 medium jumbo frets. 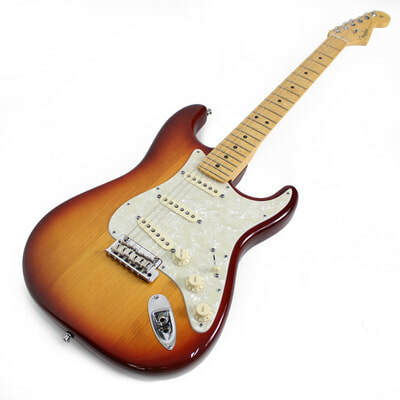 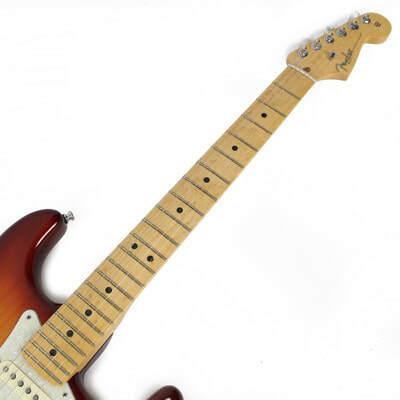 Other features include three Fender Select single-coil Stratocaster pickups with five-way switching, four-ply aged white pearloid pickguard and aged white plastic parts, two-point synchronized tremolo bridge with bent-steel saddles, Micro-Tilt neck adjustment, Fender Select headstock medallion and more. 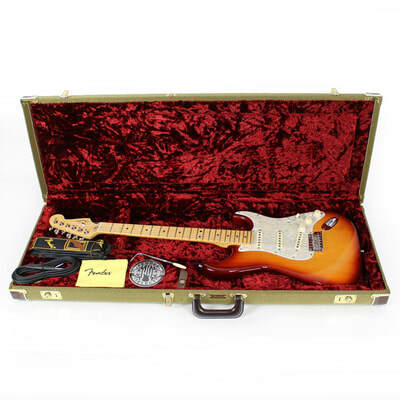 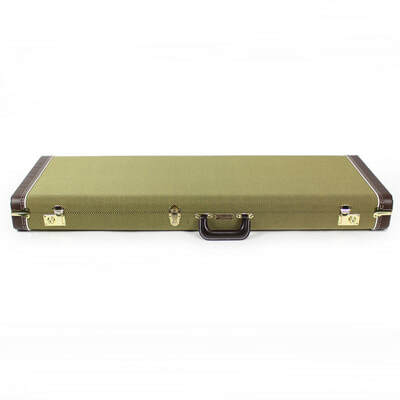 Tweed hard-shell case, strap, cable and polishing cloth included.